The SAURON project proposes to ensure an adequate level of physical and cyber protection for European Union ports and to limit, as far as possible, the detrimental effects on society and the public of a combined (physical/cyber) attack. The main objective of the project is to integrate the physical and cyber security systems, thus protecting the ports of the European Union and their surroundings, through the development of an advanced visualization system called "Hybrid Security Awareness". This is a multidimensional system capable of reducing current vulnerabilities and increasing the degree of prevention, as well as acting quickly in the face of an attack. In this project, Fundación Valenciaport has technical support from the Polytechnic University of Valencia and the universities of Piraeus (Greece), Leuven (Belgium), as well as institutes and technology companies such as the Austrian Institute of Technology, Morpho (Safran) and Thales in France, ETRA and S2 Group in Spain and INNOVASEC in the UK. 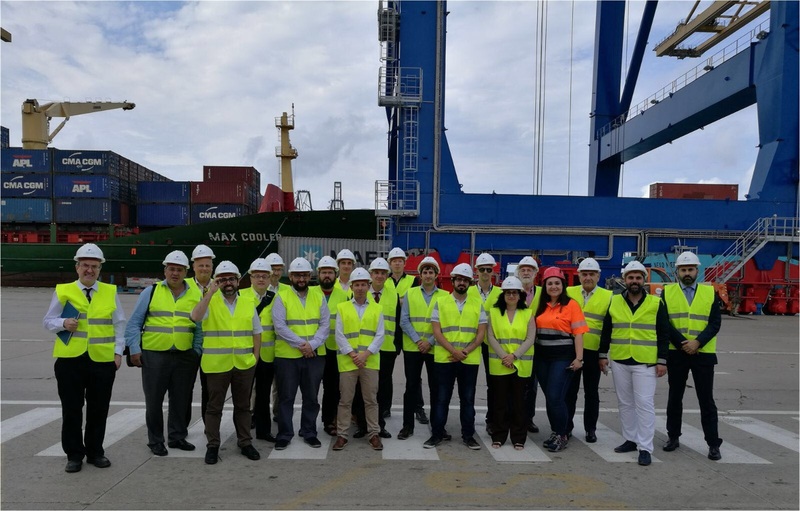 Also participating are the ports of Valencia, Livorno (Italy), Koper (Slovenia), Piraeus (Greece) and the Noatum container terminal in Valencia. In their role as end users, these ports will evaluate and validate the results. SAURON has a budget of about ?8,500,000 and is expected to run for 36 months. SAURON proposes the development of an integrated control and management system that incorporates the application of new visualization techniques (cyber interfaces, 3D models, virtual/augmented reality scenarios, etc.) to show/visualize the real environment and cyberspace. The different systems and control sensors that are already installed in a port will be integrated to show in real time (both through images and data) the circumstances surrounding an intrusion, attack or event, whether physical (fire, explosions, etc.) or cyber (cyberattack). These systems will thus provide valuable information for decision-making with respect to prevention, protection and response, offering a joint operation scenario to inform operators? decisions and help them to understand and tackle a combined threat. In this regard, SAURON proposes the implementation of two pilots: one to be held in the Port of Valencia, centred on the container traffic scenario; and the second in the Port of Piraeus, focused on cruise safety. Through this type of initiative, Fundación Valenciaport underlines its commitment to the issues of security and cyber-security. The aim is to keep the Port of Valencia at the forefront in these matters, by identifying the latest technologies and tools in the market.